Re my Gibraltar post. I took it down. In a way yes, it was sabotaged. Too much abuse. No real attempt to provide a sensible counter argument, just a lot of ranting and bad language! I am not really surprised. Living in Spain, I hear a lot of emotion around the topic, but no factually-based discussions. Thanks. I am in Spain in a couple of weeks time – Fly to Malaga and then some time in Ronda, Antequera and Granada with a first visit to the Alhambra Palace. Coincidentally, I am heading to Granada this coming Monday for three nights, and staying in the Parador at the Alhambra. I will be posting on it, probably the week-end I return. 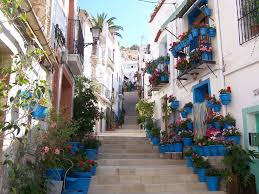 Enjoy your time in Andalucia.